Many schools, businesses and individuals have been using the fast, simple file storage capabilities of Google Docs to upload, edit and share documents for many years now. In May 2012, Google has rolled out the newest iteration – a general update to the service they now call “Google Drive”. Google Drive has been speculated about for a long time coming, and now it’s official – Google is offering a cloud-based pseudo-hard drive. This means that the data you upload such as word documents, PDFs, images and other common file types can be accessed, edited and collaborated on by people from any computer or smart device in the world. What truly sets Drive apart from its predecessor Google Docs, however, is the sheer range of file types that it supports. Photoshop, Illustrator, raw images and even HD video can be uploaded and shared through the Drive, and those formats can be opened within your browser. This means that even if you don’t have the application that created the file, you can still open it. Like Google Docs, Google Drive is linked to your Gmail or Google Apps account, allowing you to set access limitations quickly and easily. When sharing items, you can make and reply to comments, as well as receive notifications for when someone has replied to something you’ve posted. 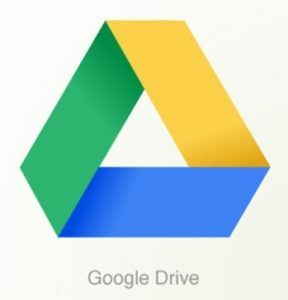 Google Drive is available on both Mac and Windows and works in any browser, an App for Android gives you on-the-go access from your smart phone or tablet, and there are plans to extend the service to iPhone users in future. Everyone with a Gmail account receives 5GB of data storage free, which for many people who only upload documents and photos will be more than ample. With the capability of storing HD video, Photoshop documents and even entire books, however, many will be seeking a little more wiggle room. You can upgrade your plan to 25GB for USD$2.49/month, 100GB for USD$4.99/month or 1TB for USD$49.99/month – a bargain for any business that could seriously benefit from such comprehensive cloud storage. So it’s time to bid farewell to Google Docs – at least in the incarnation we knew it – and welcome a new platform for sharing, storing and creating all kinds of media and documents.